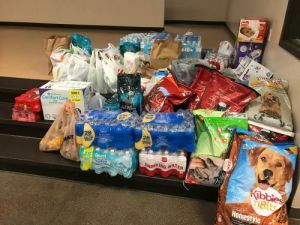 The Pensacola State College Student Government Association collected items for the victims of Hurricane Harvey. 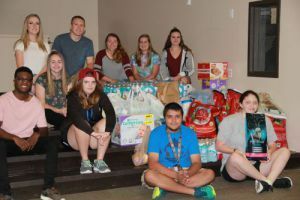 Students, administrators, faculty and staff donated non-perishables such as bottled water, diapers, baby food, pet food and other items that were delivered by Two Men And A Truck to those affected by Hurricane Harvey. Two Men and A Truck franchisee, Greg Micklos said he started ‘Truck 4 Texas’ with no intention the initiative would be picked up by other franchises across the country. Micklos’ plan is to pack as many trucks as possible with supplies to donate to victims of Hurricane Harvey.